Health Work Committees (HWC) is a non-governmental health and development organization. It was established in 1985 by a group of Palestinian volunteers who worked in the health sector for the purpose of meeting the health care needs of the Palestinian population living under Israeli occupation in the West Bank and Gaza Strip. In 2003 it was registered as an NGO in the Palestinian Ministry of Interior and Ministry of Health. HWC has a General assembly (GA) that includes over 200 members. The Assembly meets annually to evaluate work development as well as the audited financial statements and strategic issues. The Board of Director consists of nine members elected by the general assembly every two years. HWC services benefited more than 400,000 beneficiaries and according the organization’s new indicators, HWC has patient coverage accounted for 15% of the total number of patients in the West Bank. Services are provided through its 270 full time employees, and over 150 part time and contracted medical professionals. HWC believes in the value of the Palestinian human and his/her right to a comprehensive health system as a basic human right based on all international human rights conventions and agreements. Therefore it provides health and development services in 17 health centers and clinics throughout the West Bank, seven centers in the North, and five in the Middle and five in Southern West Bank. These centers range from small clinics to a day surgery hospital that provides health services through general medicine, laboratory, radiology, surgery, and specialities. Recently HWC has opened “Dunya Women Cancer Center“ the first and only diagnostic women cancer center in the West Bank, that provides high quality integrated medical services to women with breast and gynecological cancers according to international standards. Patients receive early diagnostic services; follow up care, in addition to drawing up treatment plans and a close follow up for the treatment. Besides its health centers, HWC has created Health Programs such as Well Baby program, Women's Health Program that is implemented in all of HWC centers and clinics including the mobile clinic. In addition to the School Health Program in East Jerusalem that covers 75 Jerusalemite schools inside and outside the Separation Wall. In addition it operates two mobile clinics that reach over 22 marginalized locations in the northern Jordan Valley, Area C, and the southern areas throughout the West Bank. 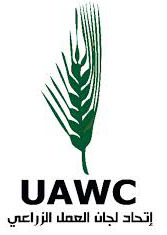 HWC has a pioneering role in the different developmental fields through creating developmental models that provide opportunities to support the most marginalized Palestinian groups, Women, Youth, Elderly, and People with Disability, through its developmental programs and centers throughout the West Bank. HWC's development programs include Youth Development Program; a community, cultural, and social development program that provide services to Jerusalemite youth through “Nidal Center” in the old city of Jerusalem. In addition to The Community Based Rehabilitation Program (CBR) that provides services to people with disability in 20 locations in Southern WB (Hebron and Bethlehem areas). HWC development centers in Beit Sahour includes, The Oasis Center for People with Mental Disability, The Elderly Club; a day care club for the elderly that provide recreational, cultural and social activities for the elderly, Shepherd’s Field Nursery and Kindergarten; a model kindergarten that was recognized by the Ministry of Education as a model and a training location for kindergarten teachers. In addition to Jadal center for community cultural and social development.